PALM BEACH GARDENS, Fla. — People who suffer from respiratory or sinus issues will try just about anything to get some relief. For parents, it can be a nightmare with kids with chronic problems. Some people swear by a new trend that involves a whole lot of salt. Take off your shoes, hear the crunch of, not sand, but salt under your toes. "What a wonderful opportunity to shut down, relax, get away from a busy environment that we live in today," said Wayne McCullough, who was sitting at the Salt Suite on PGA Boulevard in Palm Beach Gardens. "I was very skeptical," he said as he described the relief and cleared sinuses he felt. The Salt Suite is part of a new trend in natural health to treat ailments. 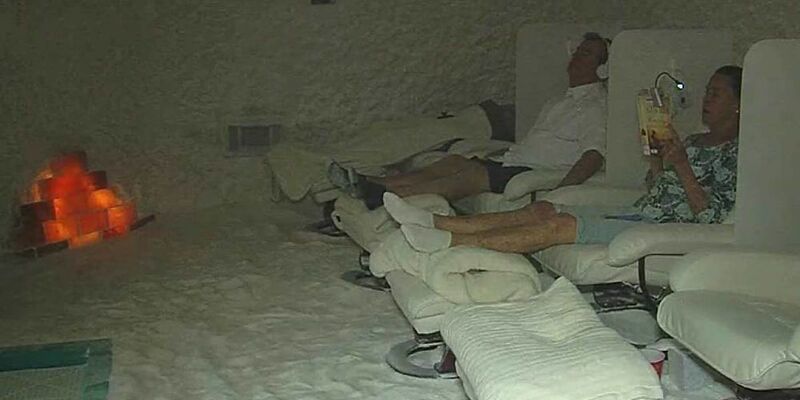 "We've recreated that salt cave feeling with salt all over the floors and walls," said Jamie Gonzalez, the owner of the Salt Suite. It involves a generator that grinds salt. It's a cave-like room called a Salt Suite. "It gets into your sinuses, ear canals, throat, lungs," she said. "Even the lower lungs where pneumonia forms." There is room specifically for children that looks like a playroom with toys, even Netflix. There are also some general rules for visitors. You can't wear perfume, and you're not allowed to use a cellphone. You also can't visit when you're sick. "We do ask people not to come when they are sick," said Gonzalez, who said sitting in the room for a session. She keeps everything cleaned out with cleansing, antibacterial and anti-inflammatory properties. "People who are well, don't get sick as often, want to keep their kids in schools. They come for prevention, but the bulk of our clients have allergies, asthma, sinusitis, children with ear infections," said Gonzalez. She says insurance doesn't cover the treatments but your healthcare spending accounts will.